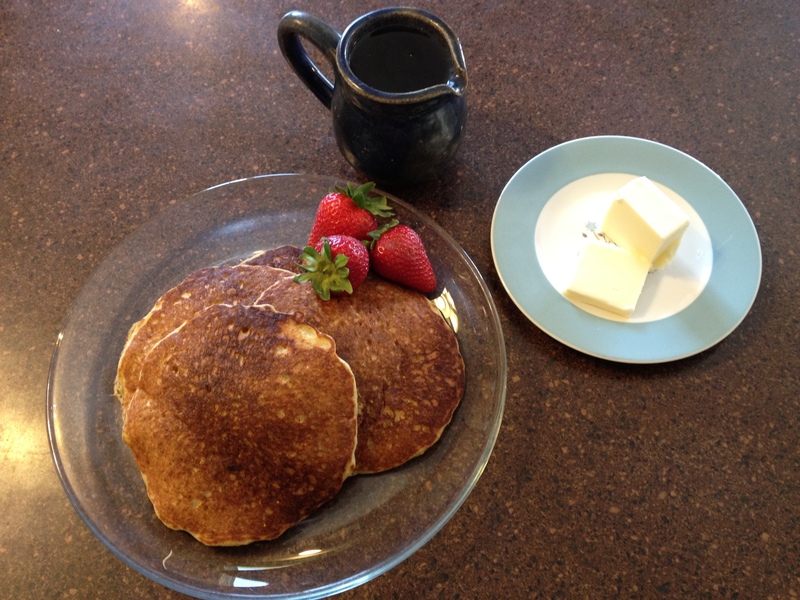 Cookin’ Up Summertime Favorites: Strawberry Jam and Biscuits! 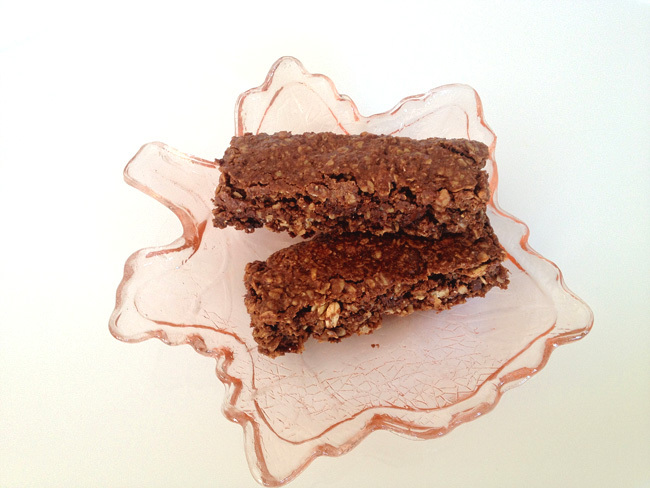 Chocolate Energy Bars, Fuel for your Day! 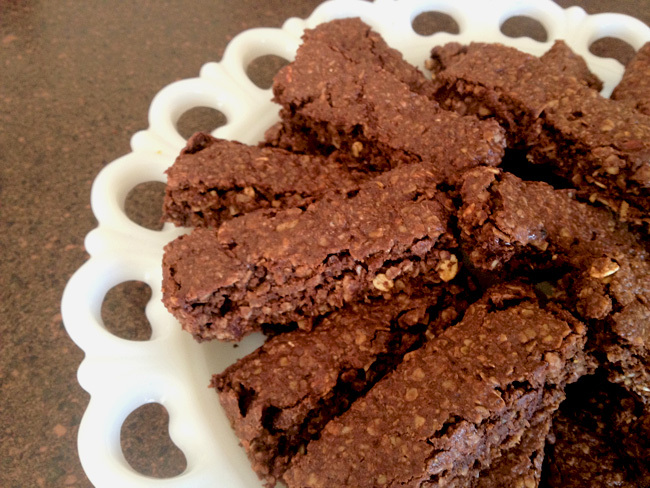 If you need energy for a workout or breakfast on the go -these are the perfect way to go. Our Chocolate Energy Bars are full of protein, whole grains, chocolate, and just a touch of cayenne creating a little taste of Heaven in every bite. Low in sugar, and high in energy! I have been using energy bars a lot now because I have a weight goal. Just 18 months ago I was 205 lbs. and am only 5’4″. I did not like how I felt on the outside or on the inside. I spent my first 40 years on the planet overweight and out of shape. I woke up one day and said NO MORE! I never looked back. It has been a struggle but only at first. Once I found the one thing that got me results quickly, I stayed with it. For me, that was running. So today, I am 162 lbs. and need to lose 22 more. Recently, I have added to my running and eating healthy routine. My boss gave all of us a 90 day membership to Cross Fit. Really great guy, he heard us talking about getting personal trainers and wanted to do something really great for all of us. So here I am trying to lose the last of this extra weight, and now I’m nearly doubling my workout. I feel more drained and need the extra fuel to get through it all. So I created my version of an energy bar. Sort of a granola bar meets no bake cookies, but with wholesome ingredients. I am an advocate for real-natural ingredients, so there is real butter, natural peanut butter, and honey in these. About the only thing that’s not natural in here are the chocolate chips. Hey, I said natural ingredients are great, but I’m not perfect -girl’s gotta have her chocolate! 1. In a medium sized pot warm all of the above ingredients on the stove top until well melted. Not too hot, just until the brown sugar is dissolved. Set aside and let cool slightly. Preheat oven to 350 degrees. 2. In a large mixing bowl, add all of the above dry ingredients (minus the eggs) and mix well. 3. To the wet cocoa mixture that has had time to cool a bit, add slowly, 2 beaten fresh eggs and mix well. Then pour all of this into the dry ingredients and mix until well incorporated. 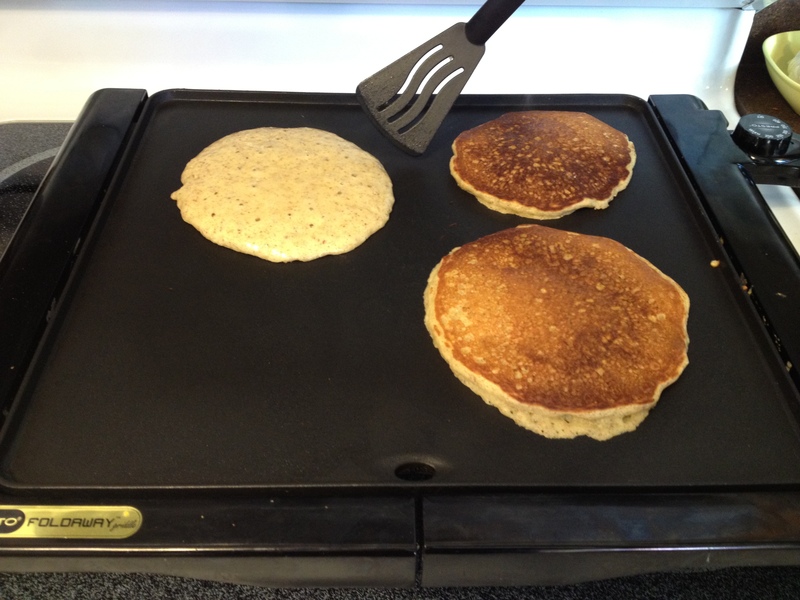 Spread into a 13″ x 9″ sprayed pan. 4. Bake for 20 minutes at 350 degrees. 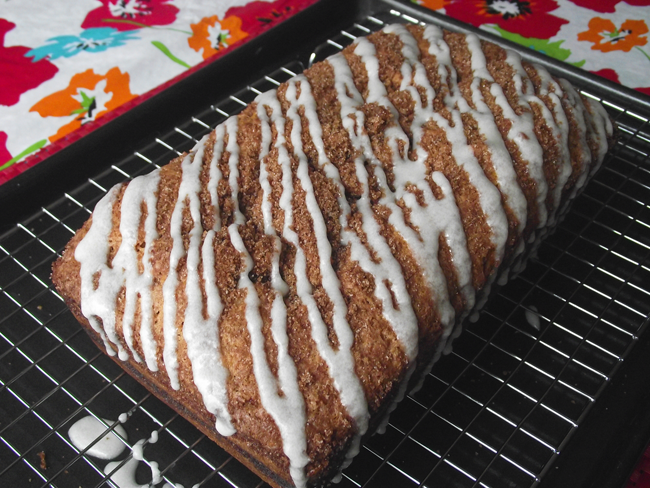 Let cool slightly, cut into bars and separate on a cooling rack to cool fully. Wrap and store on the counter for 2-3 days or in the fridge is best. Will last for a week if you don’t eat them all first! Makes: about 36, 1.5″ x 4″ bars. French Toast Breakfast Bake: Make Mom Breakfast in Bed! I needed to get my baking fix in for the week. The house wasn’t smelling like baked goods and I’m soooo not okay with that. Neither are my children or the hubs. They think something’s amiss if I’m not baking or cooking up a storm. In reality, I had just been preoccupied with other things. But really, what’s more important than food to a foodie? This situation needed to be remedied stat! 1. Preheat oven to 350°F. Grease a bread loaf pan and set aside. 2. 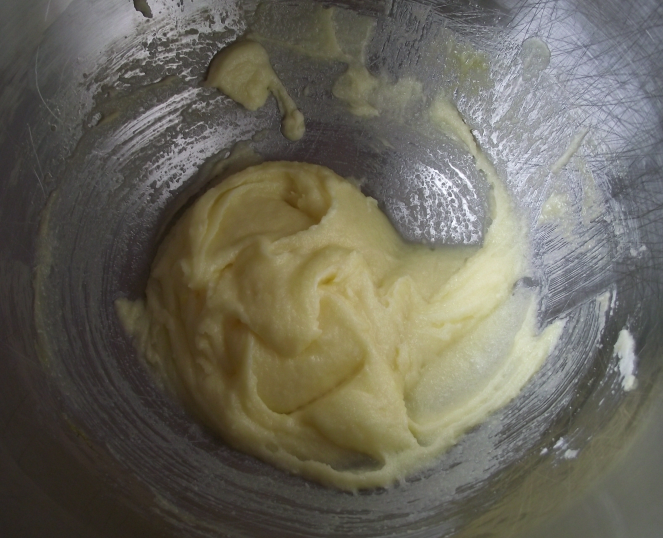 In a large mixing bowl, combine butter, sugar, egg and vanilla. Beat until well blended. 3. 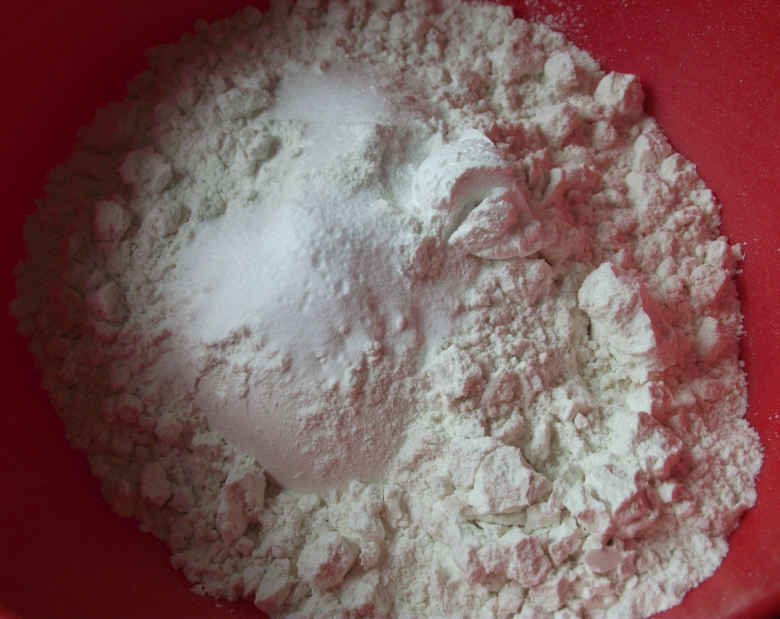 In a separate bowl, combine flour, baking powder, baking soda and salt, and mix together. Add these ingredients alternately with buttermilk to egg mixture above. 4. 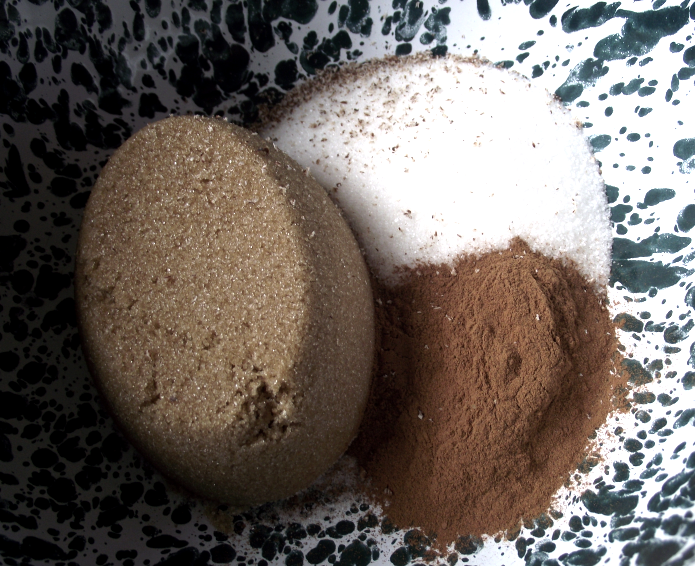 In a small bowl, mix together swirl/topping ingredients. 5. 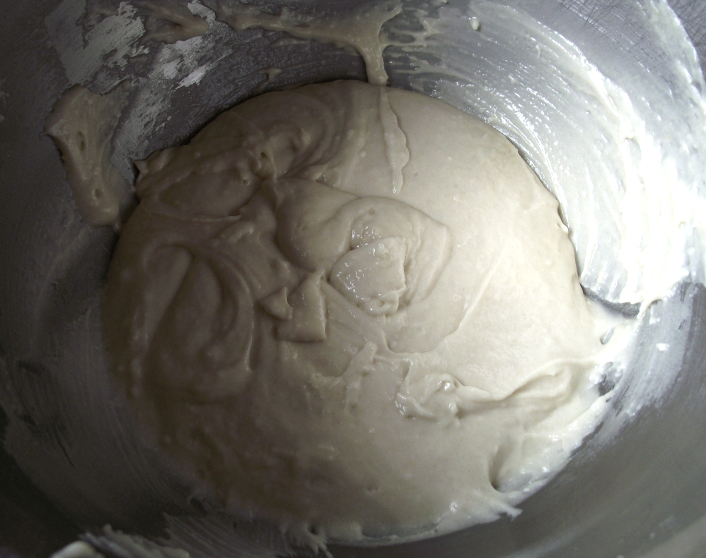 Spread 1/3 of bread batter into prepared loaf pan. Sprinkle with a 1/3 of swirl/topping mixture. 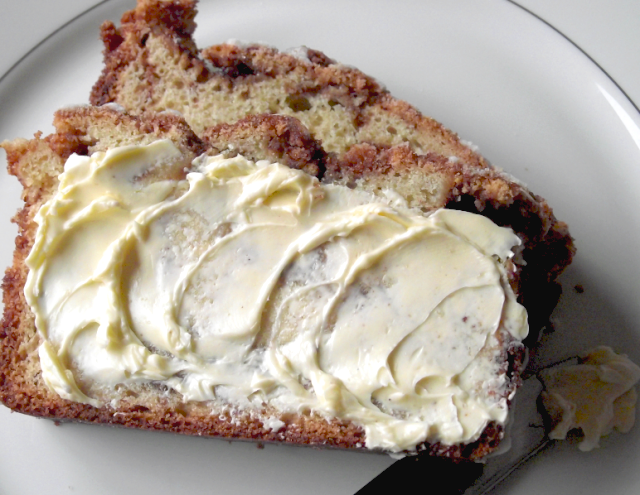 Take a bread knife and lightly drag it through the swirl/topping to create ‘swirling effect’. 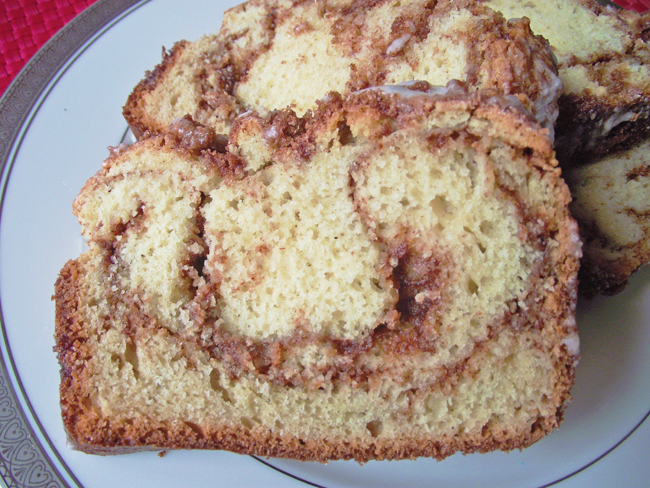 Repeat layers twice, ending with swirl/topping sprinkled on top of bread batter. 6. Bake for 45-50 minutes or until a toothpick inserted near center comes out almost clean. 7. Allow to cool in pan for 15 minutes, then remove and place on wire rack to finish cooling. that’s available now in the Amazon Kindle Store. It was just perfect for this bread! Tip: If you don’t keep buttermilk on hand at home, it’s easy to make your own! Take one cup of milk and 1 Tbs. of white vinegar and combine. Allow to sit for 5 minutes. The vinegar ‘sours’ the milk and voila! You’ve got homemade buttermilk that works great for baking! Really want a ‘slice’ of heaven? Eat the bread fresh out of the oven with a nice schmear of butter. Ahhhhh, bliss and possibly breakfast perfection! I admit it without shame. I’m a penny pincher. Why pay such an exorbitant price for store bought granolas full of ingredients that I don’t want let alone don’t like. And it costs the proverbial arm and leg. I really love granola. I eat it every morning with a cup of yogurt as my breakfast. I’ve been doing this for about two years now as apart of my weight loss/maintenance plan. You’d think I’d be ready to chuck it out the window because I’m so sick of eating the same thing day after day…but nope. I LOVE IT! The texture of this granola is perfect. The crunch is toothsome and the flavor is controlled by me and the ingredients I chose to add when I made that specific batch. There’s another reason I choose to make my own granola. Moms out there, I’m sure you will appreciate this. I’m trying everyday to get my children to choose and eat healthier snacks. With this granola, I’m able to sneak some ingredients in there that are so healthy no one is any the wiser. The most obvious one is oatmeal, which is loaded with fiber and antioxidants. I also have started adding flaxseed meal. It has such a subtle flavor you don’t even know it’s there. 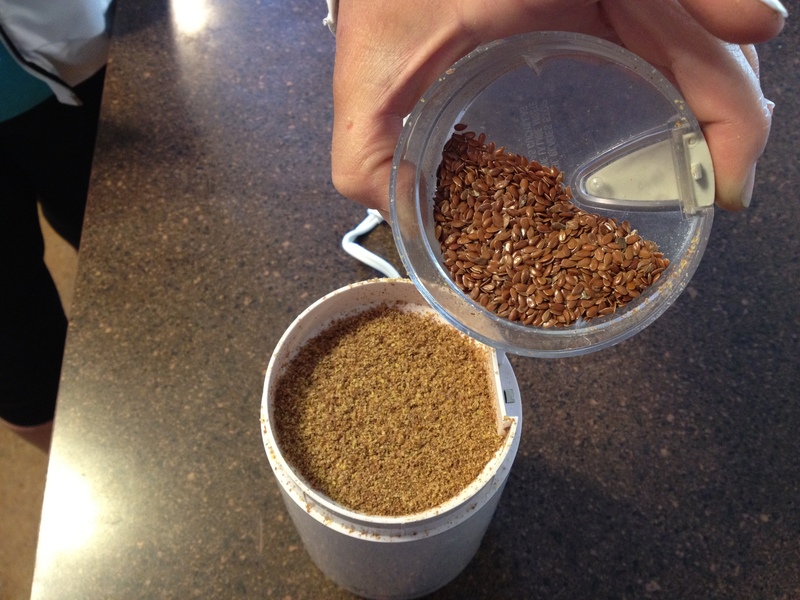 Flaxseed also is high in fiber and antioxidants but it also packs an Omega 3 punch. Yep, the flax is really there! I promise! Sometimes I add chopped nuts, but not always. I don’t always have them on hand and I don’t go out of my way to purchase them because they’re typically on the spendier side at the store. 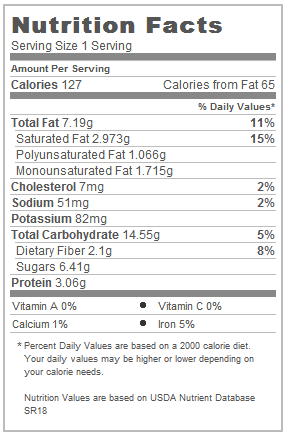 But nuts are definitely the ‘good fat’ you want in your diet Lastly, for healthy ingredients, coconut. Yep. It’s actually pretty good for you! 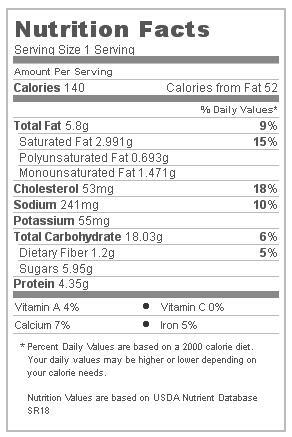 It’s high in protein and considered another good fat. I also read somewhere that it can help reduce the appearance of fine lines and wrinkles…well heck, sign me up!!! Fortunately, my children totally worked WITH me on this, and decided to adore the granola! They’ve even come up with a few different ways to enjoy it…they eat it on their yogurt, munch on it alone as a snack or as a cereal with milk. They’ve also went as far as putting it on ice cream! Even the hubs does that. But, as you can see from the picture here, the like of demarcation is clearly drawn. I like my granola with dried fruit. My kids won’t touch it with that in it. I think it’s a psychological thing because I’ve still been able to pull one over on the three year old when she’s not looking. I tell her the ‘red stuff’ is just red granola. I definitely get the ‘are you schoolin’ me’ look but she shrugs it off and goes to town. Turns out the eight year old has been schooled one too many times and sees right through me so I’ve had to split it up a bit. It’s super simple to do that. I just throw some chocolate chips on their side and a few butterscotch chips on my side (my guilty pleasure) with my dried fruit and call it a done deal. 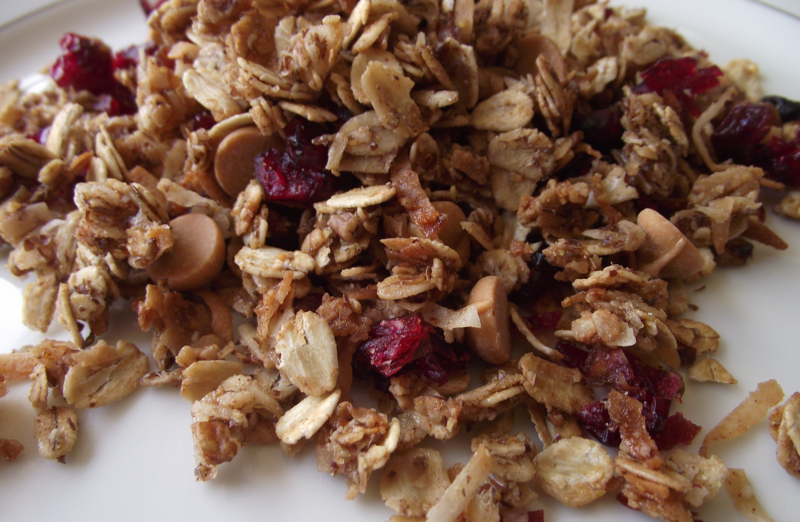 Making your own granola really couldn’t be more simple and it truly is much more inexpensive. 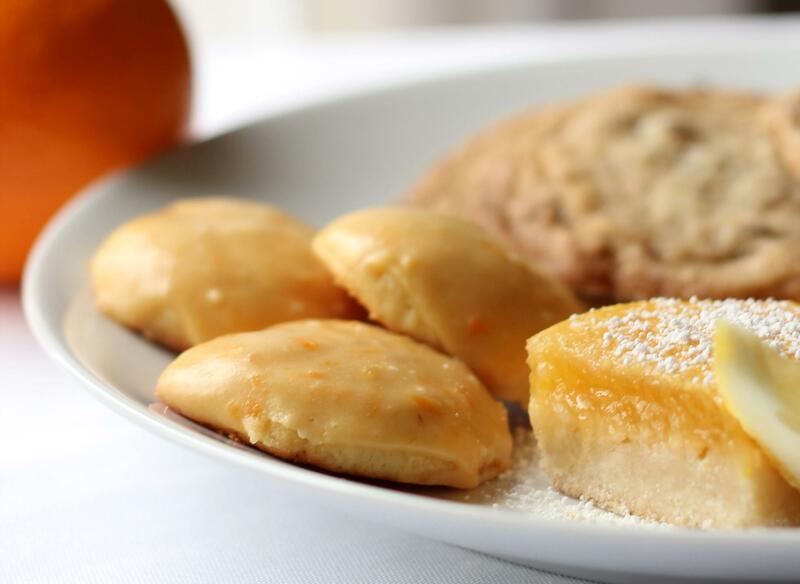 You control the ingredients and you can make the batch as large or small as you like. Definitely appeals to the inner penny pincher and baker in me! How about you? Give this a try and let me know what your favorite ingredients are. Would love to hear them! This granola is so easy and flavorful. Plus it makes an energizing snack any time of day! 1. 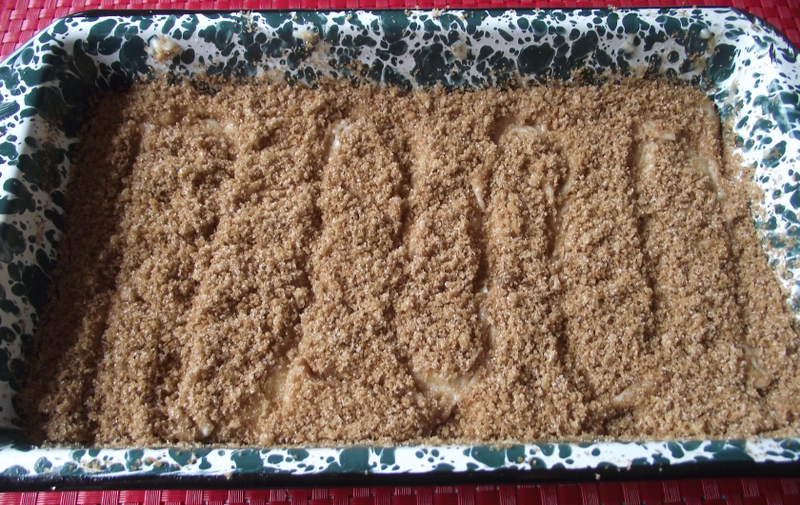 Preheat oven to 350° F. Grease a large baking sheet and set aside. 2. In a large bowl, mix oats, coconut, flaxseed meal, and nuts together. 3. 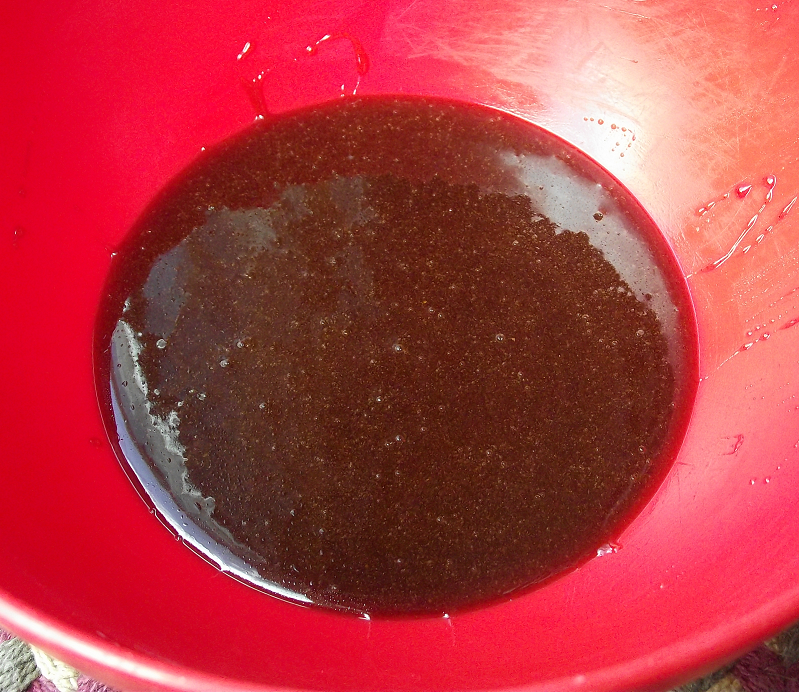 In a microwave-safe bowl, combine honey, maple syrup, vanilla, cinnamon, nutmeg, brown sugar, vegetable oil and salt. Mix well. Microwave on high for 30 seconds. Remove and stir. Microwave for additional 20 seconds and stir well. 4. 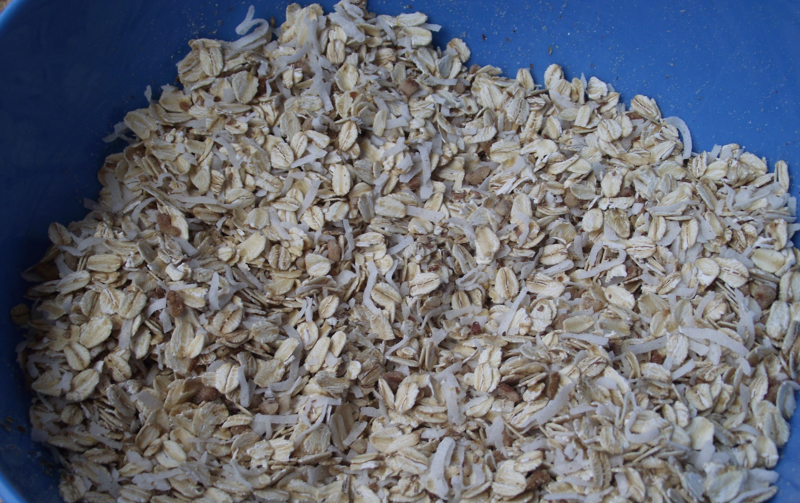 Pour wet ingredients over oat mixture and thoroughly combine. 5. 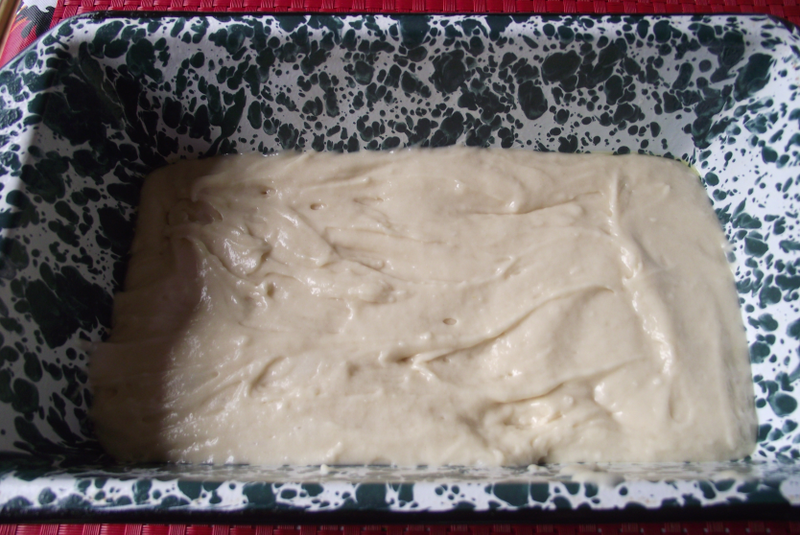 Spread mixture on prepared baking sheet and bake for 10 minutes. 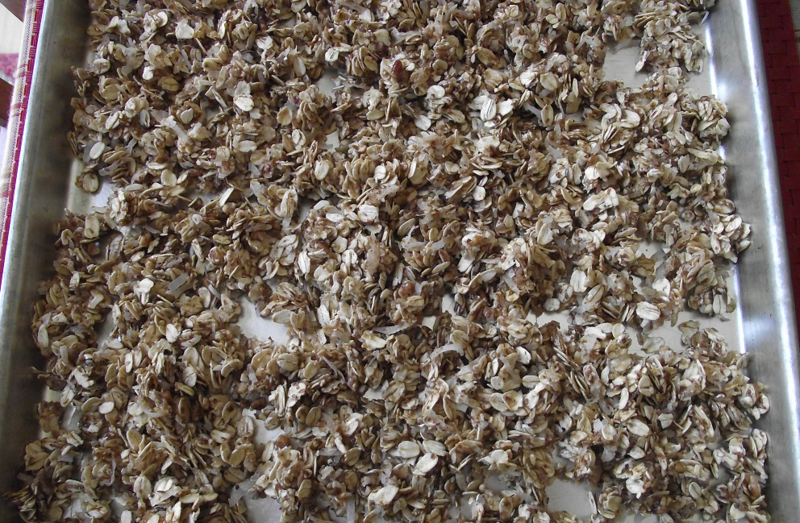 Remove and stir granola. Place baking sheet back in oven for additional 10 minutes. Remove and stir one more time and place baking sheet on wire rack to cool completely. 6. 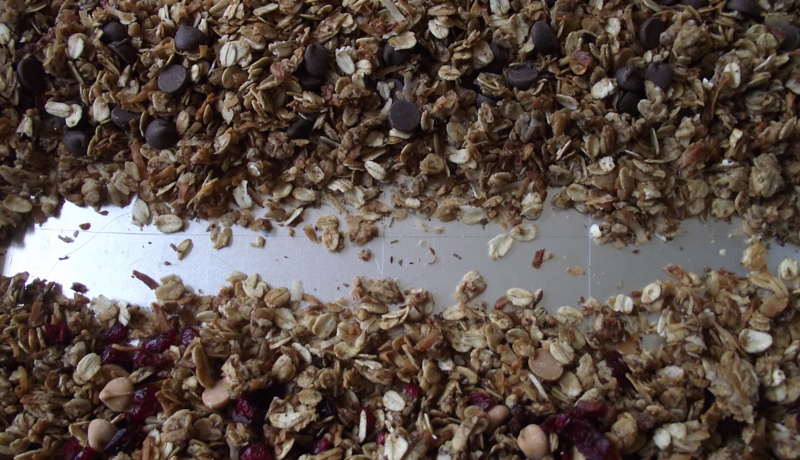 When granola is cool, add dried fruit, chocolate chips, and butterscotch chips. Mix well. Store in an airtight container. Tip: This granola recipe is very versatile. 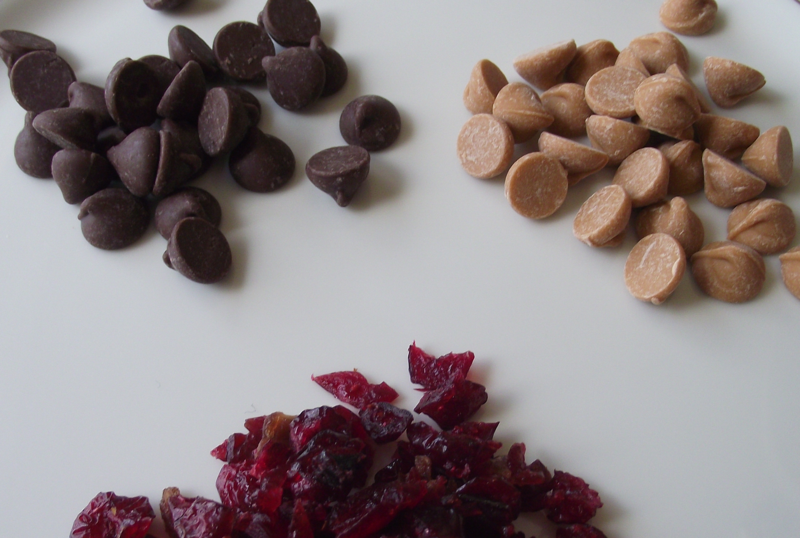 Add your favorite baking chips or dried fruit. Or completely leave them out. Feel free to get creative and make it your own!